Within the next 20 years freshwater will become the most important strategic resource, essential for sustaining life and achieving sustainable development. Its control will be a source of power and the key to economic development, and it will be one of the root causes of sociopolitical stress. The global commitments made in the areas of water and sanitation do not specifically address the equitable division of power, work, access to and control of resources between women and men. 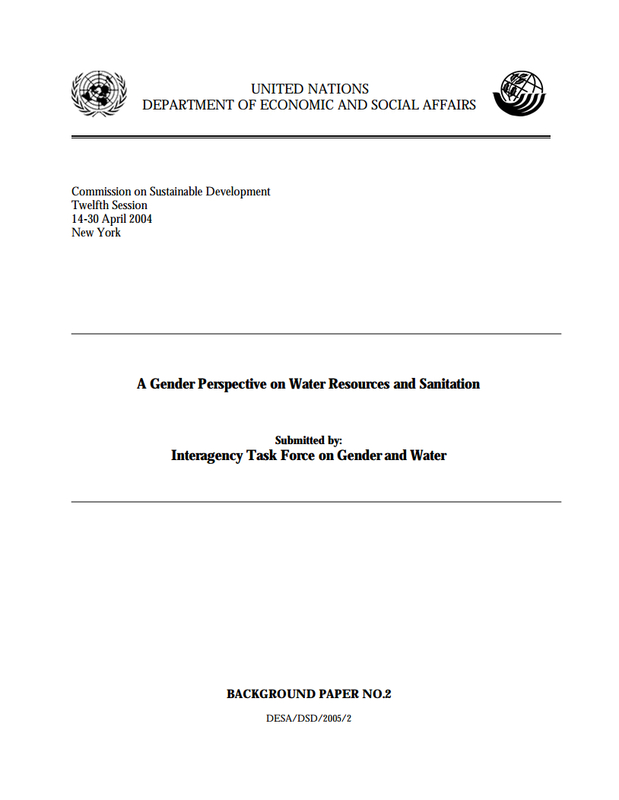 It will be critical to mainstream gender perspectives into the planning process to ensure that the specific needs and concerns of women and men from all social groups are taken into account in development, use and management of water resources and sanitation.